Discovering the Accelerate: Building Business from Science and Technology program with Alberto Jimenez Schuhmacher - Executive Ed. The innovative world of science and technology is teeming with opportunity. However, in order to unlock all of this potential, it takes an entrepreneurial eye. Alberto Jimenez Schuhmacher, Head of Molecular Oncology Group at Health Research Institute of Aragón, took part in the second edition of the IE Executive Education’s Accelerate: Building Business from Science and Technology program in 2013, as a way to reimagine his career trajectory within the sector. 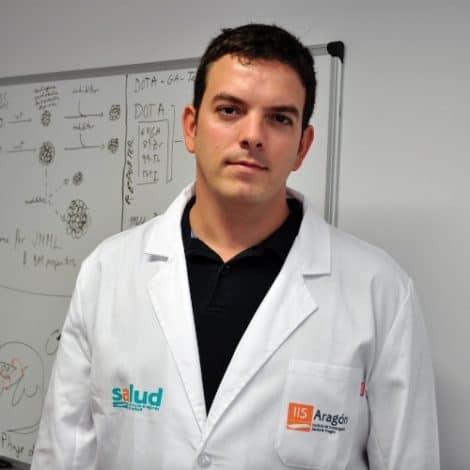 Upon joining the program, Alberto was a staff scientist at the Spanish National Cancer Research Centre (CNIO) and credits his time in the program for helping him refocus his professional goals. According to Alberto, it has provided him with “a practical and transversal vision of my projects, which means that I can manage the lab in the same way you would manage a company”. It’s exactly this approach that demonstrates the core value of the Accelerate program. Whether you want to remain in your sector, or decide to embark on a new entrepreneurial path, learning new business skills is an invaluable professional asset. As Alberto says, “finding the cost–benefit is something that doesn’t normally happen in academia”. However, being part of the program has allowed him to “negotiate better prices from suppliers,” as well as gaining “the confidence to approach companies to propose collaborations”. Alongside increased financial acumen, Alberto highlights other soft skills developed during the program as being particularly valuable, helping him become a more effective communicator. “The course taught me to present my projects in a more direct way so that non-scientific people can understand the purpose”. These new skills have also extended to his role as a manager, enabling him to “think in a different way” to orchestrate a “more successful lab with less people”. Following completion of the program, Alberto has won competitive grants including the Fero Scholarship and the BBVA Foundation innovator’s grant. He was also awarded a prize for Innovation at the Association of Directors and Executives of Aragón (ADEA) and named “Hijo Predilecto de Zaragoza”, an honorary title given to outstanding citizens in the region. If you are a science- or technology-based professional who would like to begin an entrepreneurial venture, or explore new perspectives in your chosen sector, join the IE Executive Education’s Accelerate: Building Business from Science and Technology program. Discover cutting-edge skills and techniques and get a fresh take on achieving success. Contact us at jeanette.holyoak@ie.edu or visit our website for more details.